Found a couple of nice Greenlight trucks at Toys R Us. The Ford is super cool and a nice surprise, wasn’t expecting it at all! 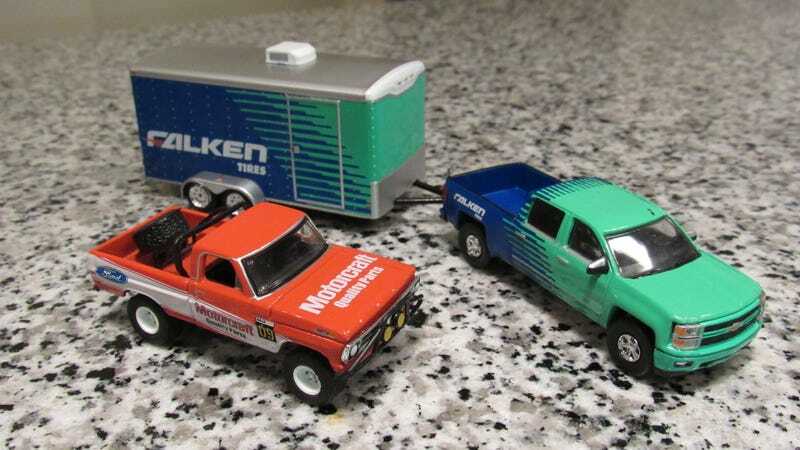 And I have a few Falken cars in my collection so this Hitch and Tow set is a perfect fit. These colors work well on just about anything.